Greece is closely watching the political developments in Germany as the new coalition government that will be formed will have direct impact on the Greek debt and the discussions about its relief expected to begin after conclusion of the bailout program in August 2018. Right after the exit polls on Sunday evening, SPD leader Martin Schulz made clear that the Social-Democrats will not join the coalition. 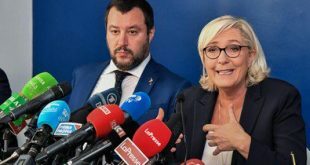 That was a wise move, then a grand coalition with CDU/CSU and SPD would award the far-right AfD as being the main opposition party in the Parliament. 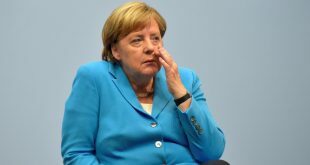 The sober morning after forecasts a few scenarios about Germany’s next coalition government with the winning idea to be the so-called Jamaica coalition between Merkel’s CDU, the liberals of FDP and the Greens. 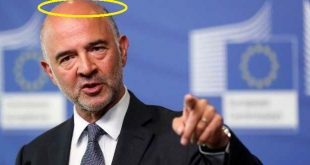 As the future partners seek a compromise, a common line for a coalition, Athens is closely monitoring the developments. Merkel’s CDU is a party the Greek coalition government can live with. They got to know each other in the last 2.5 years, With the Greens, SYRIZA sits at the same part of the European Parliament. But the FDP? 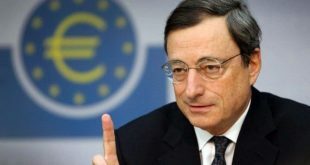 This could turn into a new Greek nightmare and have Greeks bitterly miss the stubborn and humorless, ol’d chap Wolfgang Schaeuble. During the elections campaign, the FDP had a clear stance towards Greece: No debt relief, and if at all then Grexit. “Cut Greek debt and let it leave the euro,” Lindner said in an interview to Bloomberg beginning of the month. In an older interview in June, Lindner had proposed if Greece could not pay back the loans then “temporary Grexit but not exit from the European Union.” Debt cut without Grexit would produce a moral hazard, Lidnner had claimed saying that other countries of the European South would demand the same privilege. 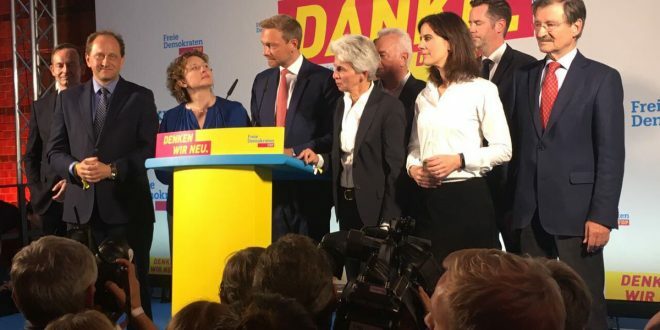 Although in previous coalitions with the CDU, the FDP traditionally held the Foreign Ministry (Genscher, Kinkel, Westerwelle), this time, the Free Democrats have not hidden that they target the post of the Finance Ministry. Wolfgang Schaeuble has completed his service as finance minister. In the last six month he had been zealously preparing his what he thought to be his successor. But not one from the FDP. The problem with the FDP is that it does not have party officials to lead such powerful ministries as the one of the Finances. One of the top FPD people, hardliner and nobleman Alexander von Lambsdorff has lately threatened Greece again and suggested that they better leave before tearing down others. 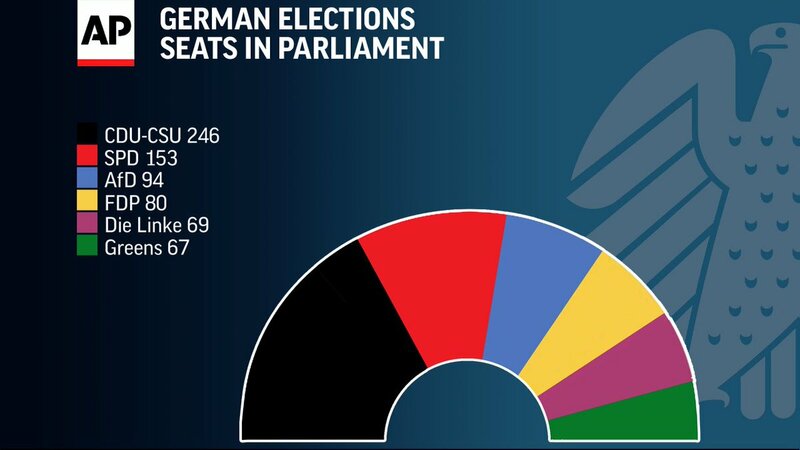 The point is with more than 180 MPs in German Parliament (94 from xenophobic AfD, 80 from FDP and pro-Grexit supporters in CDU/CSU) things will be difficult for Greece with the new German coalition – no matter how the Greens will try to keep the balances. Once this Jamaica-coalition take its government seats. One more point is that negotiations among CDU/CSU – FDP – Greens are excepted to extend “by the end of the year’ – as some analysts note – making even more difficult for Greece to conclude the third review of the Greek program. The FDP did not manage to enter the Parliament in the 2013 elections.